David Kessler, Elder Fraud Expert, speaks throughout the country about the escalating problem of exploitation of the elderly. As a keynote speaker and trainer on the topic of exploitation of the elderly, David addresses all facets of these crimes, including Undue influence, Sweetheart Swindles, Power of Attorney Thefts, and Home Improvement Scams. Crimes against the elderly are highly under reported throughout the United States. Too often, incidents of stealing from an elderly victim are misdiagnosed as a “family matter,” or a civil court issue. Protecting the elderly from crimes of fraud committed against the elderly is the focus of David Kessler’s training and consulting efforts. He has dedicated his professional life to providing education and guidance for public and private sector professionals on the topic of exploitation of the elderly, and making certain those who prey on elderly victims are punished. 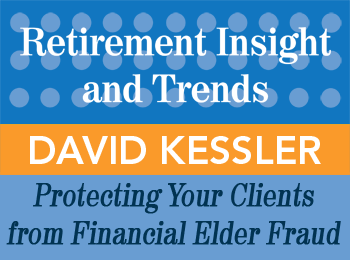 Read a summary transcript of David Kessler’s presentation “Protecting Your Clients from Financial Elder Fraud” in the October, 2015 issue of “Retirement Insight and Trends”. David M. Kessler is a retired Police Officer (former Commander of the Financial Crimes Unit) with the Dekalb County Police Department in Decatur, Georgia. David was recruited by the Ohio Attorney General in 1999 to serve as Chief Investigator of the Attorney General’s Consumer Protection Unit. Within this role, David’s primary focus became the protection of senior citizens against those who would prey upon them. With extensive knowledge and vast experience in the area of elder exploitation, David chose to leave the government sector in 2008 to form his own consulting business, Protecting The Elderly. 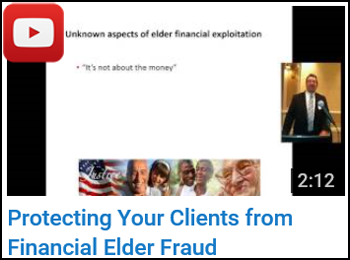 “Protecting Your Clients from Financial Elder Fraud”. 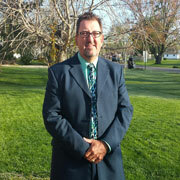 David holds the distinction of being a member of the Association of Certified Fraud Examiners – A.C.F.E. and has a Bachelor of Science degree in Criminal Justice. David Kessler speaks throughout the country about the escalating problem of exploitation of the elderly. Have David Kessler speak at your event! David Kessler has conducted training seminars for businesses and organizations such as banks, credit unions, attorneys, nursing homes, financial planners, social services, insurance companies, and medical institutions. Please contact us today via email or phone 847-686-0440 x102 if you would like to have Kevin present at your conference or appear at one of your events, or to receive a free voucher to view a sample of one of our speaker’s work. Association of Certified Fraud Examiners – A.C.F.E.